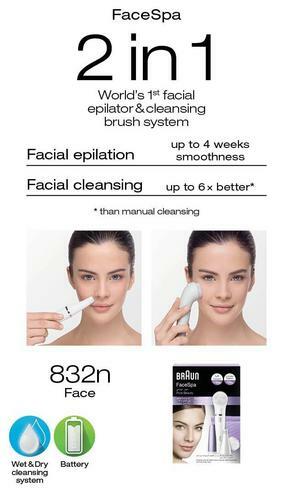 World’s 1st facial epilator and cleansing brush. Reveal your flawless glow. Braun Face combines two facial treatments in one device: precise epilation of the finest hairs & gentle deep pore cleansing with the brush. 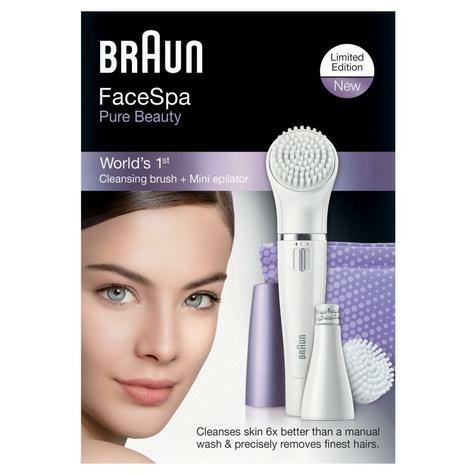 Precise Facial Epilation And Pore Deep Cleansing. 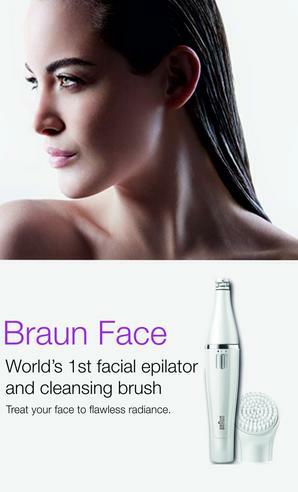 A world first, Braun Face lets you enjoy two treatments with one device – by simply switching the attachments. 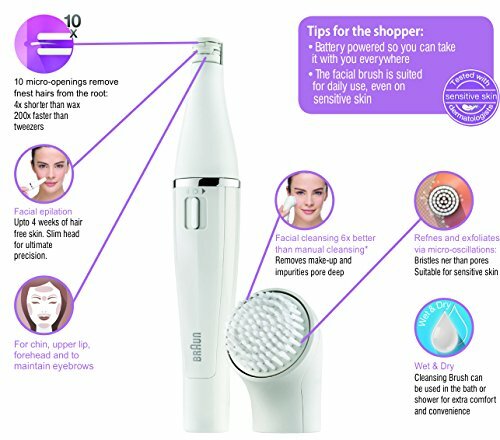 Easy to use, and boasting proven results, Face precisely removes facial hair from the root with the facial epilator plus cleanses skin pore deep with the facial brush. 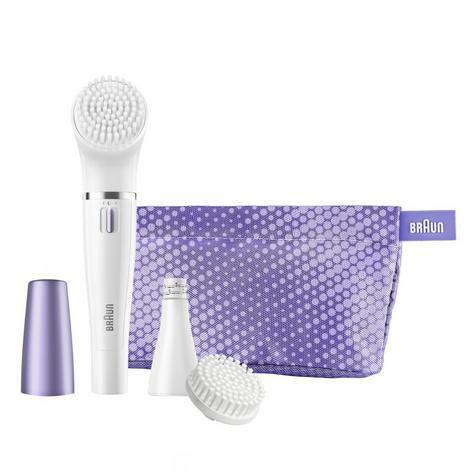 This limited edition gift set includes a lilac cap and beauty pouch plus an additional refill brush. Beautifully packaged, it makes a good gift for a loved one. She will love her smoother, more clear and fresh complexion. Absolute Precision At The Touch Of A Button. When removing hair on your chin, upper lip and forehead, or maintaining your eyebrows, precision is key. The sleek and compact design of Braun Face lets you handle it like a mascara wand for absolute control and accuracy. 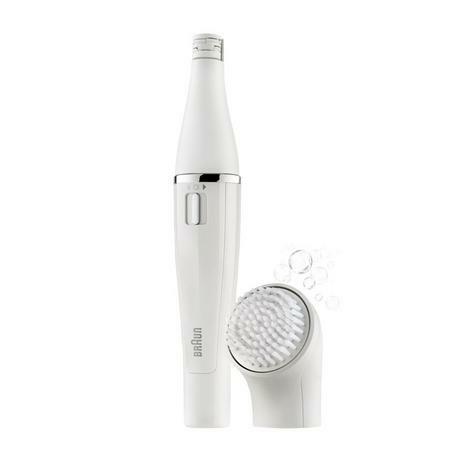 The extra slim head with its 10 micro-openings gently captures even the finest hairs (0.2 mm), removing them from the root for up to 4 weeks of smooth skin. 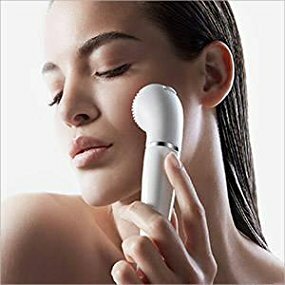 With 200 plucking motions per second, the facial epilator is much more thorough and considerably faster than manual tweezers, and can remove hair 4x shorter than wax can catch. It’s so gentle, you’ll be done before you know it. Cleanse Your Face 6x Better Than By Hand. 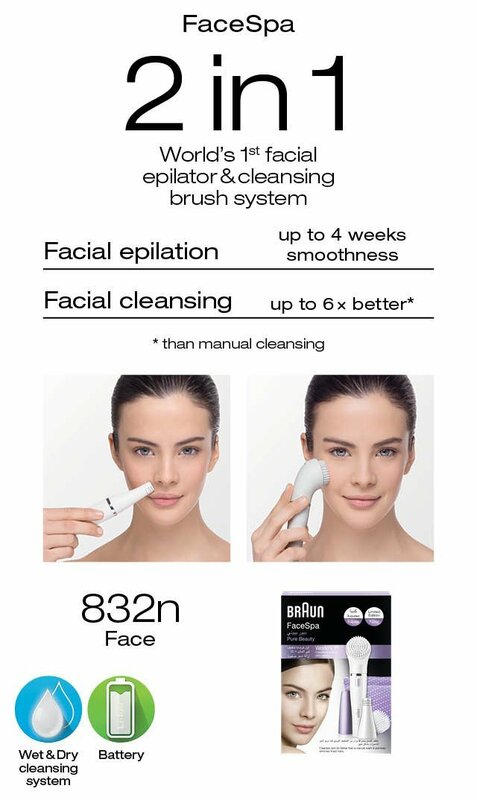 In just one minute the Braun cleansing brush sweeps away make-up and impurities to restore your skin’s natural glow. With hundreds of micro-oscillations, it works 6x better than a manual wash and cleanses your skin pore deep, so it can better absorb cream or serum. 100 per cent waterproof, you can make facial cleansing a natural part of your shower routine. 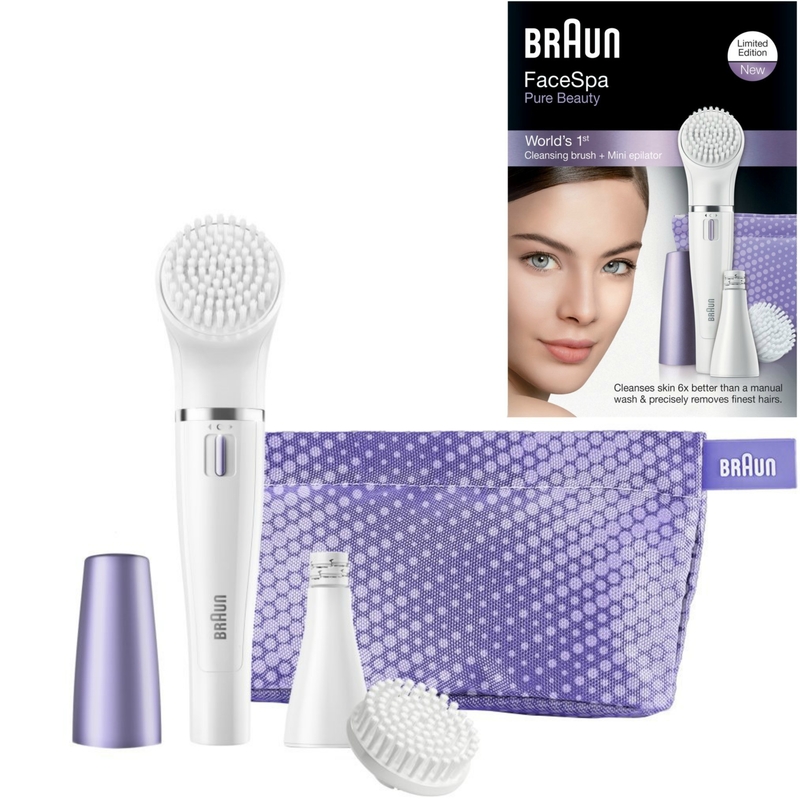 Braun’s collection of brushes allows you to truly customise your skin care regime. Simply swap the brush, and you can either gently cleanse sensitive areas, exfoliate or apply cream or foundation. 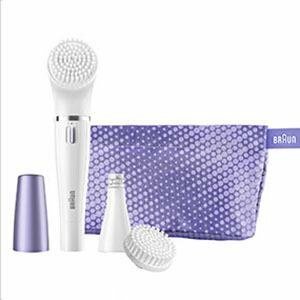 For optimal hygiene and the best treatment your skin deserves, replace the brush every three months. A beautifully presented limitededition bundle, it makes the perfect giftfor her. NORETURNSPOSSIBLE UNDER ANY CONDITION UNLESS DEVICE IS FAULTY. Thisitemis classified as a HYGIENE item and cannot be resold after use. Note:Thisitem may require an adaptor to fit the electricity supply socketincountries outside of the UK.